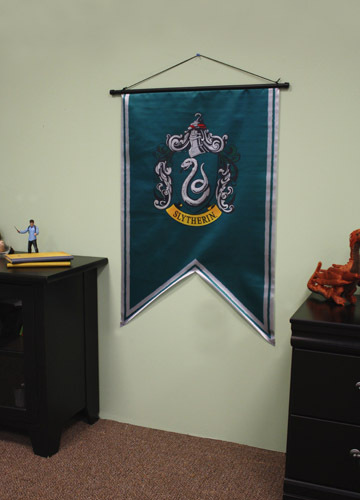 Show some Slytherin spirit with this fabric banner from Harry Potter! It features Slytherin’s crest on a green field edged in silver, and will add a magical touch to any room. The scroll measures 24″ W x 36″ H and hangs from a plastic rod across the top.